Reverse mortgage for purchase is a popular option for seniors wishing to purchase a home and live mortgage payment free, just as they would with a traditional reverse mortgage. This program has been a wonderful tool used by homeowners in Northern Colorado, including Longmont, Fort Collins, Loveland and Greeley. For more detailed information about reverse mortgage for purchase, click here. The required investment (or down payment) changes based on the age of the homeowner and the value of the home they are purchasing. 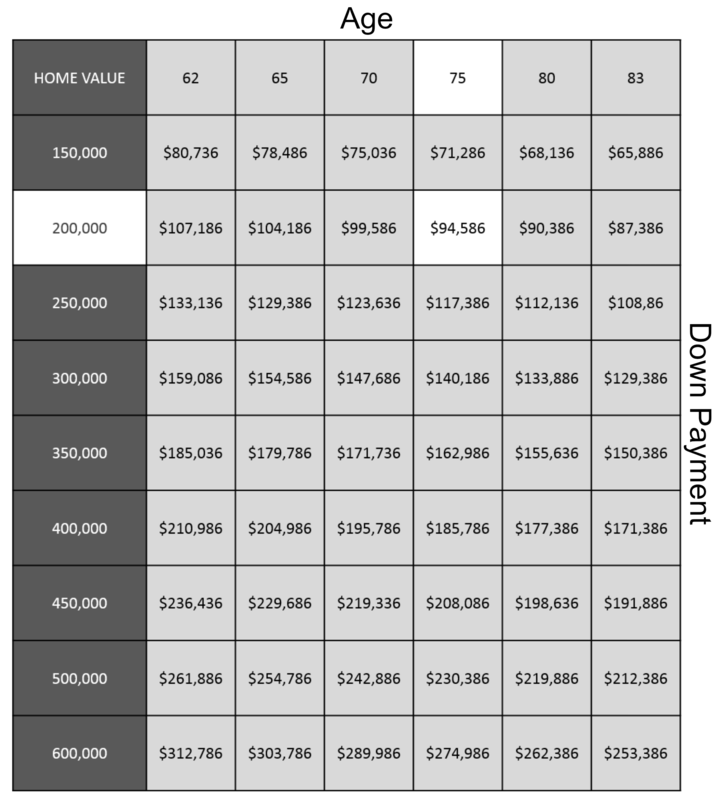 The following table is an illustrative guide to required down payments.